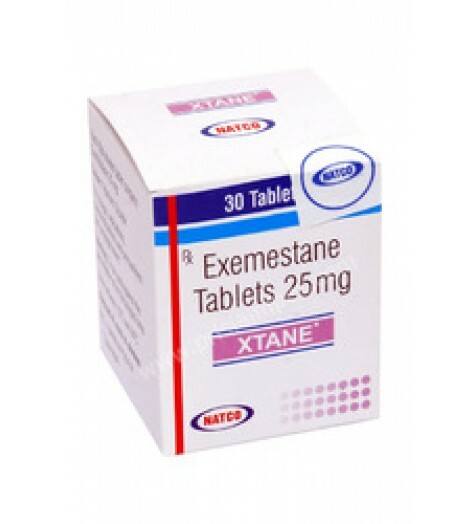 Exemestane 25 mg is a drug group of aromatase inhibitors, which reduces the production of estrogen in the body. This drug is approved in the USA and is used in the treatment of breast cancer. In bodybuilding, Exemestane is used on a steroid course to reduce the aroma effect (conversion of testosterone to estrogen) when taking anabolic hormonal drugs. Exemestane converts androgens formed in the adrenal glands and peripheral tissues into estrogens. Non-steroid drugs (anastrozole and letrozole) compete with androgens for aromatase and inhibit it reversibly, steroid (exemestane) irreversibly inactivate the enzyme. They do not affect the synthesis of glucocorticoids and aldosterone. Dosage and Administration Exemestane 25mg. For prevention (in bodybuilding): 12.5 mg every other day. For the treatment of gynecomastia: 25 mg every day until symptoms disappear (12.5 mg every day).